Despite the fact that I am writing this on the JOIDES Resolutionwebsite, this expedition is not actually happening on the JOIDES Resolution. The JOIDES Resolution is made for sending a drill bit down through thousands of feet of ocean water to reach the sea floor. 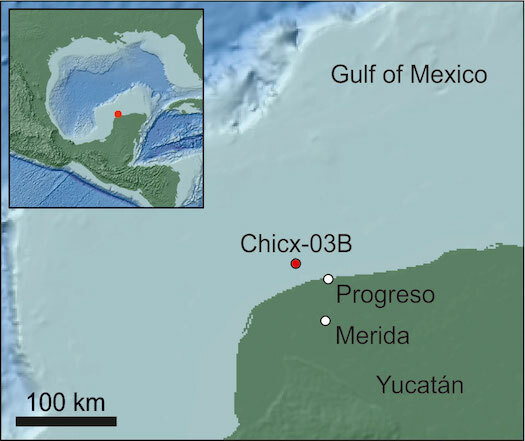 The Chicxulub crater, where expedition 364 is drilling, is partially on land and partially on the continental shelf of the Gulf of Mexico, so the science team only needs to send a drill bit down through about 56 feet of seawater to reach the sea floor. 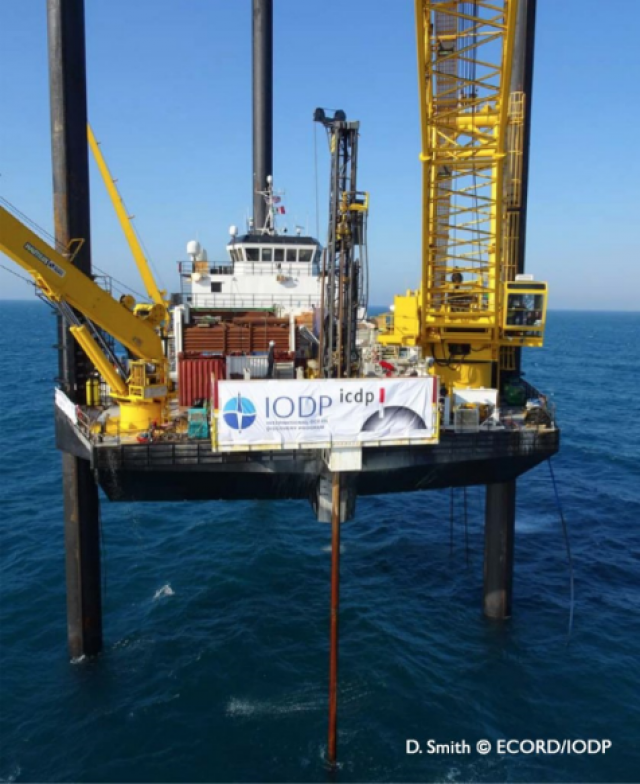 Drilling in shallow water is not the JOIDES Resolution’s bag, so this IODP (International Ocean Discovery Program) expedition will be on a mission specific platform called the Liftboat Myrtle. As you can tell from this photo, the Liftboat Myrtle is not your typical boat. I will be sure to compare and contrast the Myrtle and the JOIDES Resolution in coming posts so you can find out more about what the deal is between these two very different looking ocean drilling platforms. 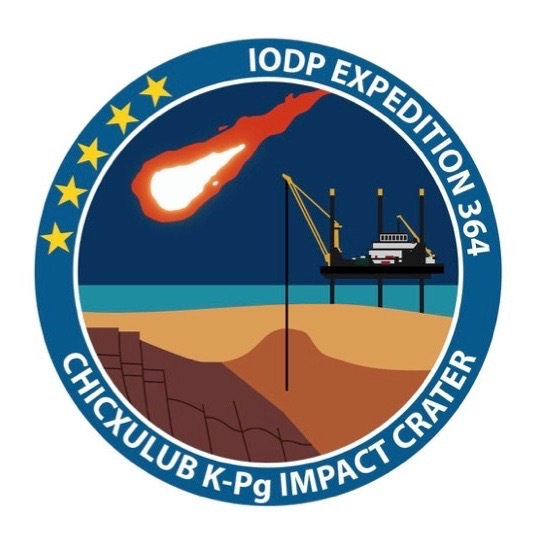 Like all of the IODP’s mission specific platform expeditions, 364 is being run by ECORD, the European Consortium for Ocean Research Drilling.